I went for more of a black Xbox look. I had tried a clear case before, but the stress marks and crazing of the cut plastic just did not look good at all. Black was much better, although to mark cut lines I had to use a scoring tool instead of a marker. On the bright side, textured plastic hides a multitude of sins. I fixed some of my over-cutting by using Sugru and it worked pretty well. 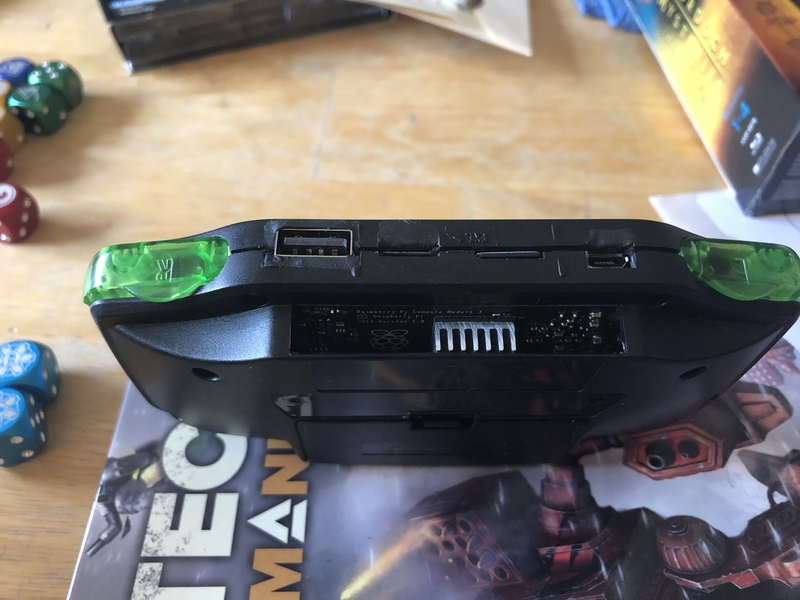 I could possibly do an even better job if I coated the USB port with baby powder or plastic wrap and then molded Sugru across the port gaps, let it cure, and then cut the Sugru with a knife, kind of how you cut a box lid by first making a completely closed box first. Don't know how difficult that will be though. I might be able to practice with the clear case. On the whole, a good practice run for general modding skills and I'm happy with the result. I'll have to think up some projects I can try that would require 3D printing something functional like another enclosure. We'll see. I have a game slot guard and new black XY button covers coming from Retro Modding (though I'm pondering keeping the grey ones). I noticed that the XY buttons sit a lot higher than AB. Would the button covers still fit if I cut a little bit (2-4mm?) off the button stalks? I think it looks quite nice. The black-on-black Sugru definitely closes up those holes well. I feel like you can tell it is imperfect, but it wouldn't catch most people's eye unless they inspect it closely. Shortening the button shafts is a good way to "drop" the button height a bit. Those button caps will fit fine if you cut 1-3mm off. Just be careful to get the cut shaft flat on top, so the cap will sit flat. Thanks for the kind affirmation! Yeah, I think it's probably best to maybe lower the buttons, call it a project, and go find something new. I originally started by pulling an old DSI apart to crib button components and then fabricate my own enclosure. But I couldn't think of anything that would 3D print well and still have a good hand-feel and durability. 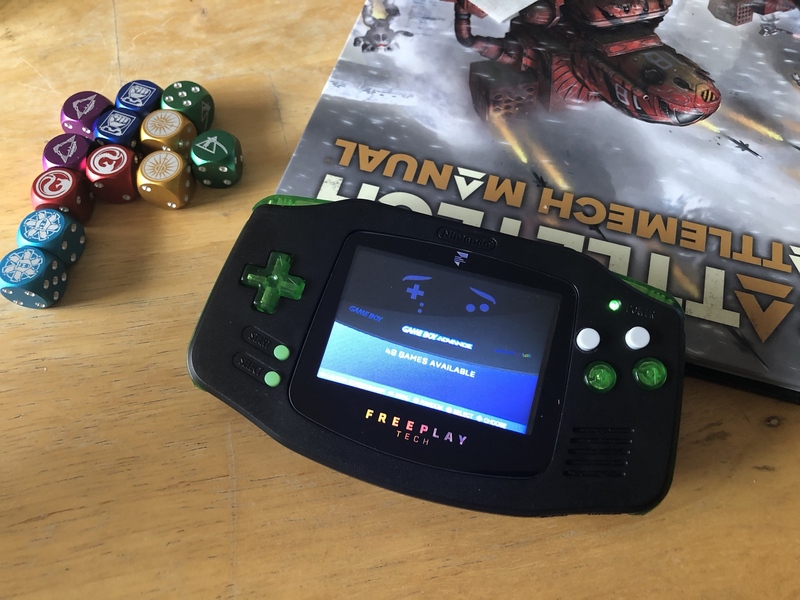 Then I find out that you guys already did it, had a good PCB design, and worked with aftermarket GBA parts and I was all "You know, I really don't feel like reinventing the wheel". I'll have to apply myself on a different project. Well, I guess you could say that was our intent. We want it to be easier than re-inventing the wheel for those people that don't want to reinvent it. Short update: I clipped off about 1mm of height from the tactile switch stalks and it seems to have worked out pretty well. The X (top) button did start binding, though. I think my drill-hole was slightly off to the left and down and with the button cap in a lower vertical position, it was forcing the stalk into a pressed state sideways. I had to remove more material from the sides of the A and B button housing as well as widening the hold to the up and right. So I've got a bit of an annular ring opening and I can get the button into a bad position by forcibly pressing down and left, but it's not too bad and wouldn't happen in gameplay most of the time. More importantly, the height is now much more comfortable. I made the mistake of using short screws on the clamshell exterior and was having trouble getting them to bite. I mistakenly grabbed threadlocker fluid intended for metals and nearly screwed up the shell (I believe the ABS reacts a bit to the fluid). Cleaned up and fixed after I used the correct screws. 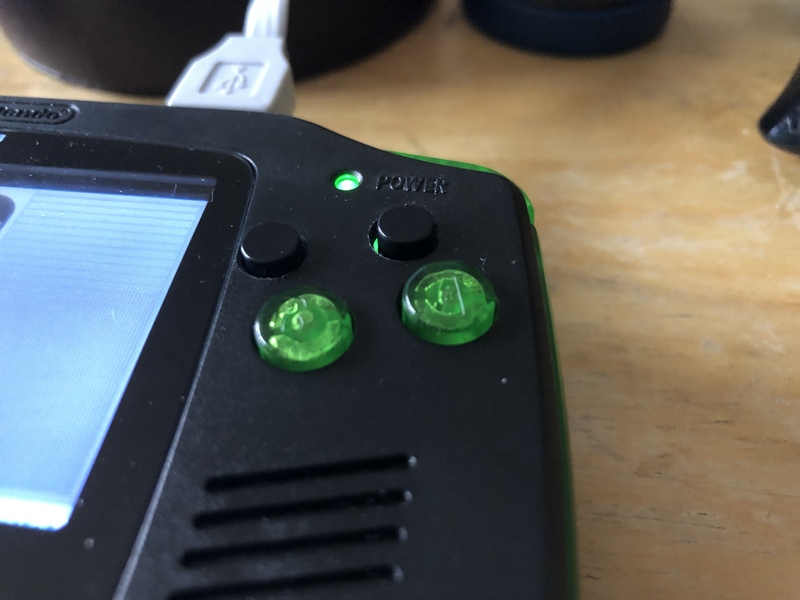 One mod that has my brain tingly is seeing the power light illuminate the right shoulder button. I wonder if I can route some SMD LEDs to the power rail with a strong enough resistor that they illuminate both shoulder buttons and the side guards. Probably not ambitious enough to try hooking into IO ports from the CM3 and programming patterns, but gentle illumination might be pretty cool. I vaguely recall that there are illumination strips that railroad hobbyists use for neon signage. I'll have to try and track that down.